Sure, Prague is full of bars and pubs with great and cheap beer. But no beer tastes better than freshly poured in a microbrewery. After years of riding and years of tasting, we know the best place to go! 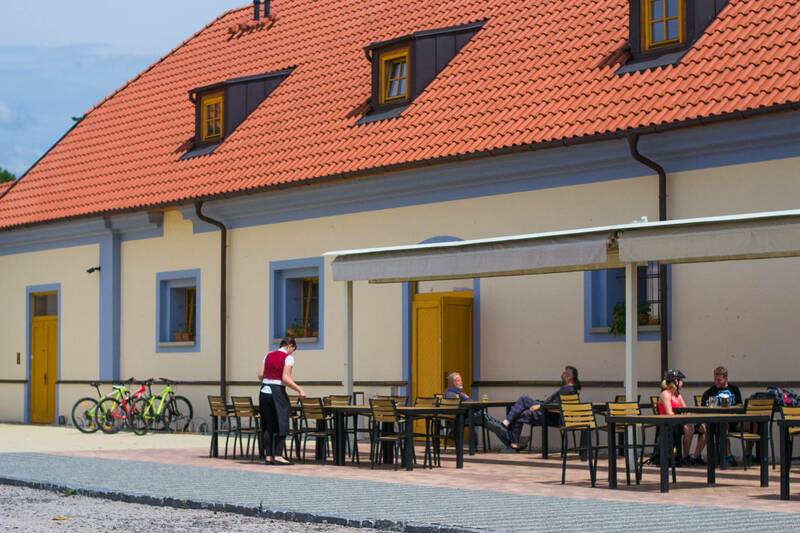 …and because here in the Czech Republic bike belongs to our life in the same way beer does, we believe this is one of the best ways to spend a free day. After pick up at your hotel it is about 20 min drive to the starting point at the very edge of Prague. 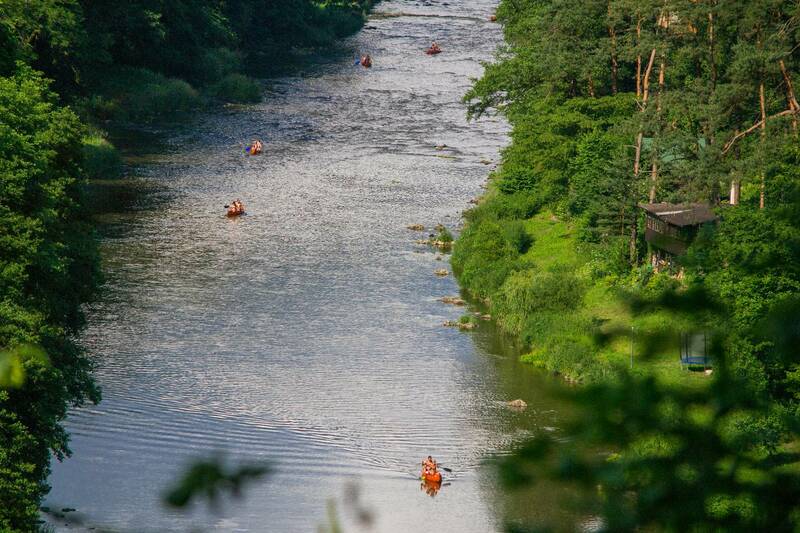 This way we avoid most traffic and we start enjoying great cycling paths along the Vltava and Berounka rivers. 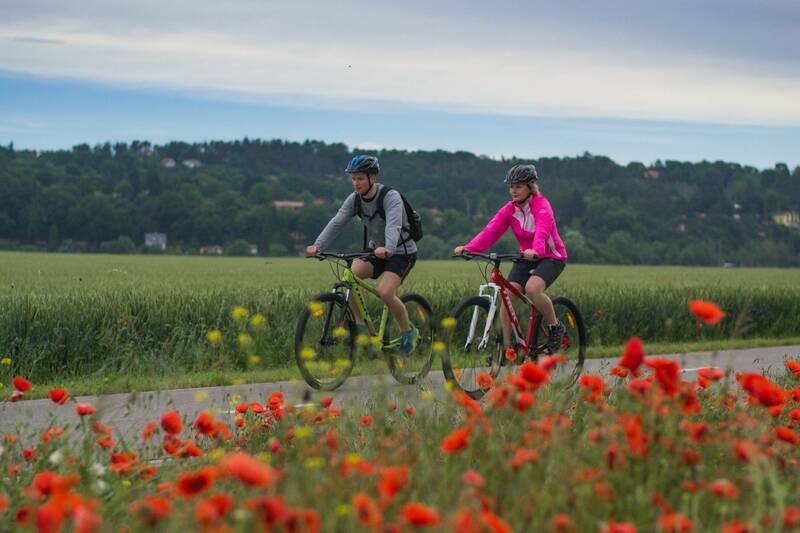 We are biking on flat trails surrounded by meadows and small towns all the way to the most beautiful and best preserved castle in Czech – Karlstejn. After about one hour break to soak the medieval atmosphere we head for a final push of about 12 kms to our favorite microbrewery in the area. 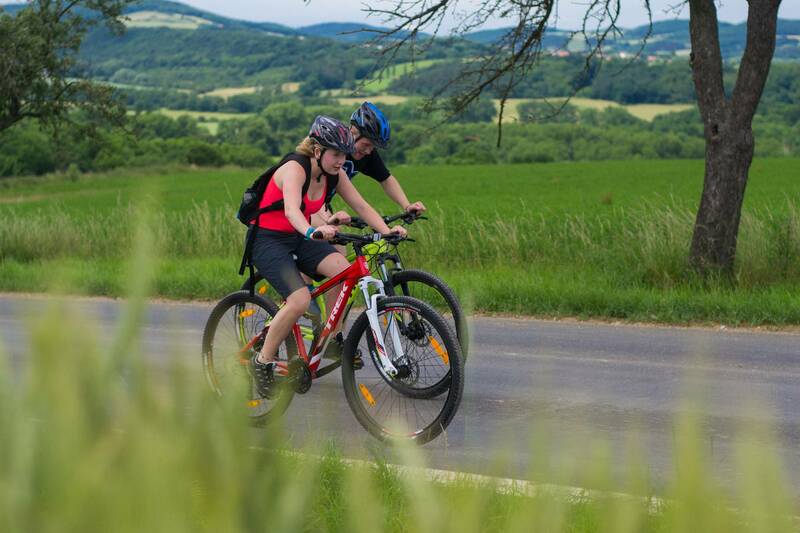 We have more options for our way back, though usually we ride back our bikes near Karlstejn and then take a train back to our car and finally we drop you off at the hotel. If you feel you have reached your daily dose of exercise, we can just take the train all the way back to the car.